Namco Pac-Man Air Hockey Game- Air hockey meets Pac-Man with this new addition from Namco! 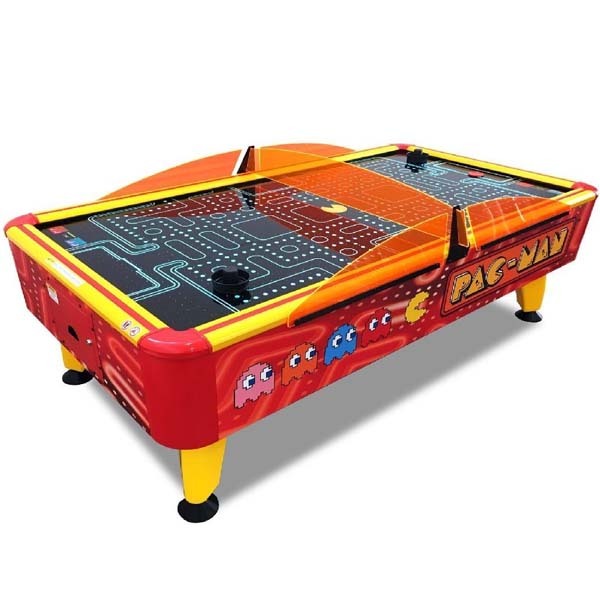 The Pac-man home Air Hockey brings all the fun of arcade air hockey to the home rec-room. Full motion LED lighting below the playfield makes a great attraction. They light up red or blue to let everyone know who has scored. Pac-man music and sound effects add to the fun. A must for every rec-room. It even makes a 'waka-waka' sound when puck hits the sides of the table. How cool is that?